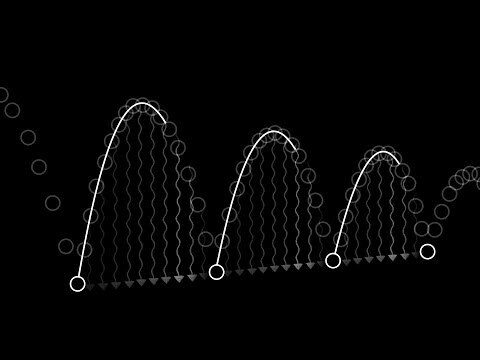 In ‘The Pangaea Pop-up’ Lesson, animator Biljana Labovic decided the best way to illustrate moving, shifting tectonic plates was to use a physical object that could also move and shift. Here, Labovic explains how she and her team of animators created a pop-up book to visualize Pangaea -- and how you can make your own. Pop-up books have been popular for an incredibly long time. 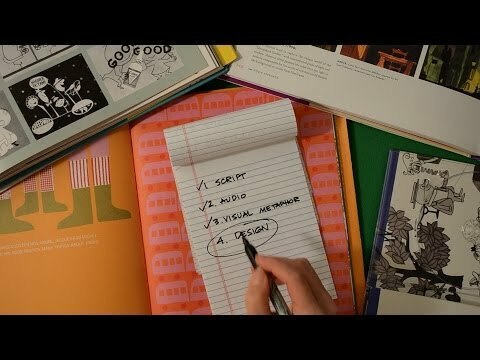 Check out this Smithsonian Institute Exhibit link to see how paper engineering is done and some wonderful and unique pop-up books. The video: Fold, Pull, Pop, Turn shows the awesome detail put into creating a pop-up and paper engineered creation. Watch it and get inspired to make your own paper engineered art. If pop-up and movable books are something one is interested in, there is a group called The Movable Book Society is a community of book collectors, working paper engineers, aspiring paper artists, and just people who really enjoy this particular media. Here is a blog page of Kyle Olmon, one of the members of the Movable Book Society. He currently teaches a class on Pop-Ups at Pratt Institute. Historians say the first pop-up or moveable book was created in the 1500’s. Where did they originate? How were they made? What materials were used? Go here to discover the early history of moveable books! The Pop-Up lady has some great examples and insights into the “POP-ularity” of these unique treasures at her website, take a look! 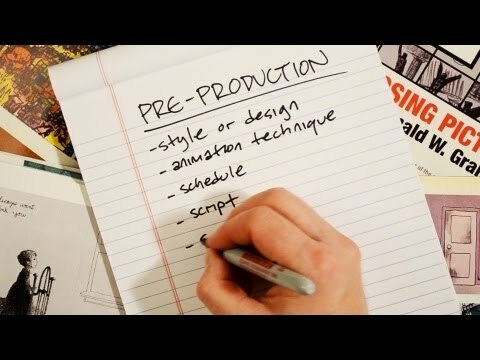 Want to be a paper engineer? All the tools to create a pop-up book can be bought at any art or arts and crafts store, or if you want professional grade materials/supplies, there are places like Talas. Another helpful source for the beginner is looking up Robert Sabuda, one of the biggest names in pop-ups today and over the last decade. Here on his website, there is a section with explanations of pop-up basics, as well as printable templates accompanied by step-by-step photos of how to put together some fun pop-up cards with various levels of complexity. Get started and make some projects to share! There is a ton of other source material for paper creations. The two below are helpful at explaining how to utilize the most basic folds to create much more complex designs. One book is the Pop-Up Book: Step by Step Instructions for Creating Over 100 Original Paper Projects. You can also try Kirigami, a combination of origami and pop-ups. For more books by the creator of this lesson check out this site! What better way to represent a beautiful landscape than with a pop-up book? Check out America’s National Park Pop-Up Book. Why would this be a great way to raise money for National Parks? Love to recycle? Recycle those old books sitting on a shelf in your house into new art creations. 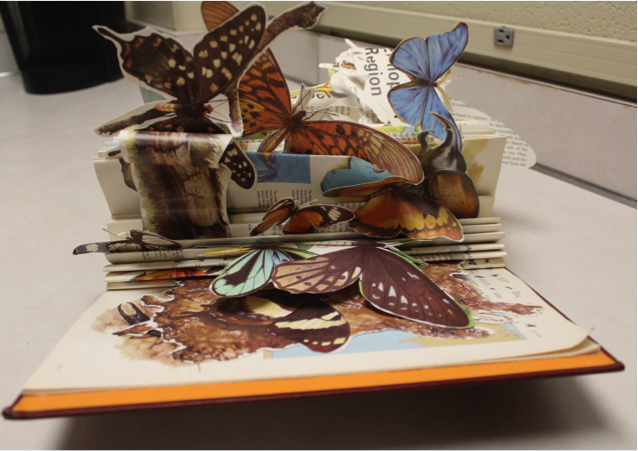 Create your own version of a pop-up book like the one shown below, or create your own book art. Recycle, create, and share!